It’s been two years since I ended production of the mediageek radioshow. In that interim I shifted most of my blogging activity to Radio Survivor, where we cover many of the issues the radioshow tackled, but more consistently, due to having three regular contributors. Aside from occasional fill-in shifts on WNUR-FM I have not produced any audio content. 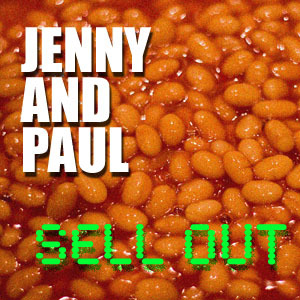 That dry spell ended this past May when my new podcast debuted, Jenny and Paul Sell Out. It’s produced roughly bi-weekly along with my co-host Jenny Benevento. Unlike the mediageek radioshow, this program was conceived as a podcast from the very start, rather than being a broadcast radio program also distributed as a podcast. It’s also not about media policy, instead focusing on culture and the questions facing those of us trying to forge a life and career in the online world. If you enjoyed some of the lighter moments of mediageek, or when we discussed art and culture, then you may enjoy Jenny and Paul Sell Out. To my friends and listeners in broadcast: please note that we have not tailored the program to broadcast, which means the length is variable and we use some indecent or so-called NSFW words that are inappropriate for US stations outside of safe harbor. I happen to think our discussions are all pretty PG-13, or “light R,” and certainly nothing shocking to anyone who watches cable TV. If you miss mediageek I hope that you’ll check out Jenny and Paul Sell Out. The mediageek radioshow is coming to a close with the end of 2009, so for the last four shows we’ll be listening to some of Paul’s favorite interviews from the last seven years. On today’s program we listen to two different interviews with media pranksters and identity correctors, the Yes Men. First we listen to an interview that first aired on Dec. 24, 2004, after the Yes Men impersonated Dow Chemical spokesmen to take responsibility for the Bhopal disaster, live on the BBC. Then we listen to an interview that aired May 16, 2006 after the Yes Men successfully demonstrated Halliburton’s new Survivaball that helps corporate executives survive the rising tides of climate change.